This is a photograph of the Fairview farm owned by W. Graham. The farm was possibly located in Seward County. 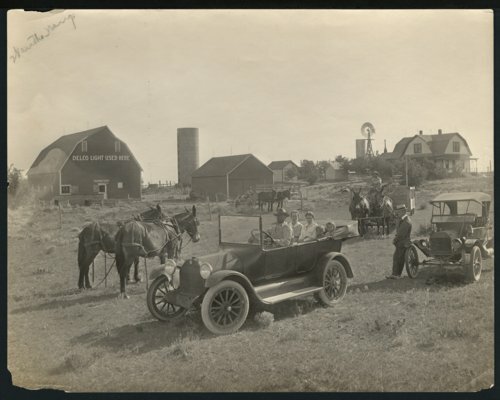 Visible in the photograph are automobiles, mule drawn equipment, windmill, farmhouse, barn, other buildings, and members of the Graham family.